Before getting started with an introduction to WordPress hosting, we need to see, what actually is WordPress? WordPress is a complete content management system that is widely used for blogging purposes by most reputed tech companies. Unlike Blogger, WordPress self hosted version has a freedom of control and customization with tons of already available advanced WordPress plugins, which cannot be used with Blogger. There are even several theme frameworks available for WordPress that help to speed up your WordPress blog. There are two versions of WordPress, the first one is at WordPress.com, while the second one is at WordPress.org. First version offers free wordpress blogging platform with a sub-domain i.e. “yourblog.wordpress.com” and you cannot use WordPress plugin feature at WordPress.com. Later-on if you think you need to have a custom domain feature on your free wordpress blog, you will have to upgrade at $13 per year, which is an unjust cost, since you have to pay an additional cost of domain name too. While the second version of wordpress.org offers the downloadable copy of WordPress CMS, that has to be used with self hosted services with your own domain that is “www.yourblog.com”. You will have to buy a domain name (~$12 per year) + web hosting services (~$10 per month) in order to use self hosted version of WordPress. Why Self Hosted Version of WordPress is better than Free WordPress Blog? Complete Control over your WordPress Self Hosted Blog. Full Customization Support with Premium Themes. Plugins let your enhance your blog’s functionality. No need to pay extra $13 for custom domain name in addition to custom domain name cost. Saving you ~$25 on yearly basis. Keep 100% revenue of your blog in your own pocket. No need to share 50% revenue with WordPress.com. cPanel and FTP options to easily maintain & manage your self hosted WordPress blog. Unlimited Storage space with HostGator, no need to pay extra bucks for purchasing additional storage. WordPress self hosted content management system (CMS) is famous for using great server resources, therefore we need to have an excellent web hosting service that could easily support WordPress blog having 15 – 20K unique hits per day without any server resource (CPU) constraints and bandwidth limitations. If your WordPress blog exceeds this much traffic, then its time to switch for VPS or Dedicated hosting, which won’t be the case for new WordPress bloggers. We shall see top 5 web hosting companies for new WordPress bloggers who need to have a reliable, fast and economical web hosting plan. If you will buy a new web hosting plan from any of our recommended host, you will be entitled for free WordPress blog setup service, you will be required to contact us after purchasing the web hosting from the links given below, and we will take care to optimize your new WordPress Blog for FREE. One of the best web hosting provider with 99.99% up time, and excellent support. I have been using HostGator‘s shared web hosting services for several years and never faced any downtime issue, their support is so awesome, you can contact them via Phone, Email or Live Chat and their support engineers will be helping you in no time. The shared hosting environment at Hostgator is usually supported by 32 CPUs and plenty of RAM. 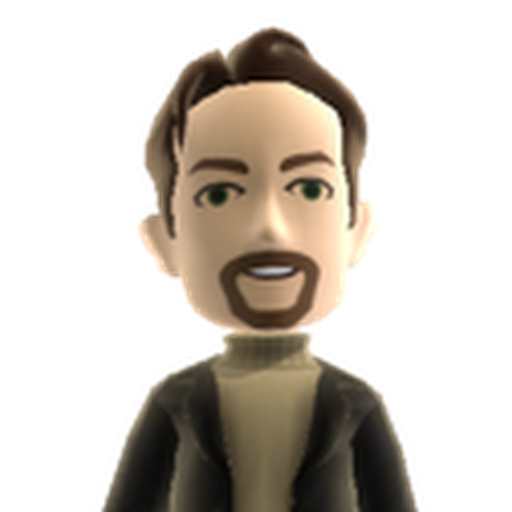 Linux CentOS will be the operating system for your shared hosting, running an Apache web server. cPanel and FTP access will further ease the management of your web hosting. Further you can Fantastico De Luxe Script installer that would help you install WordPress CMS, in few clicks and your new WordPress Blog is ready to be used. In case you are already hosting your blog somewhere else and you need a fast & reliable hosting, you can just their support to transfer your blog from somewhere else to Hostgator and it would be done for FREE. Read full Review of HostGator in 2017. I will recommend you to buy HostGator’s Baby Plan that offers unlimited disk space, unlimited bandwidth and unlimited domains. You are not bound to purchase the 3 years subscription, you can also opt for monthly or 6 months subscription package, though if you will signup for 1, 2 or 3 years. You can use the following banner to signup for Hostgator. Signing up with this banner will entitle us for the commission from Hostgator and you’ll get Free WordPress Setup service from our side. MDDHosting is not that popular, but it doesn’t mean that they aren’t great web hosting providers. I actually found them much better than any other popular web hosting service. What’s the reason behind it? Well MDDHosting is providing LiteSpeed web server for their shared hosting environment instead of traditional Apache web server, which makes them stand with proud in the web hosting league. Light Speed web server is 9 times faster than Apache and performs excellent for heavy traffic websites & blogs. I have had used MDDHosting for hosting a heavy traffic website for one of my friend’s WordPress Blog and it worked even better than HostGator. My friend’s blog that was well optimized with WP SuperCache and hosted at HostGator used to serve internal server errors, but since its on MDDHosting, there are no more internal server errors in case of traffic spikes. MDDHosting handles heavy traffic websites with ease, since their servers aren’t overloaded and powered by LightSpeed web server. If you are looking forward to have a reliable & fast web hosting for your heavy traffic wordpress blog, you must go with MDDHosting and you won’t regret at all. Intermediate plan offers 10GB storage, 500GB bandwidth and unlimited domains, just for $10 per month. Its a bit expensive than Hostgator, though their services are the best for sites with tons of traffic. You can avail up to 50% discount with “WHT50” coupon code, while 25% discount with “hv97b“. Signup at MDDHosting here and use the above mentioned coupon codes. CloudLinux ensures you are not getting effected by other shared hosting accounts, in case of maximum server CPU resource usage by other users on the same server. Although SiteGround is little more expensive than HostGator, but they are also offering premium web hosting services for WordPress blogs. One of my friend had used their services and is completely satisfied with their performance. But you won’t be getting unlimited storage space with SiteGround, rather 20GB limited storage with GrowBig shared web hosting plan for your WordPress Blog. You can still host unlimited domains and enjoy the unlimited bandwidth. GrowBig webhosting plan at SiteGround costs $14.95 per month and currently they are offering 50% discount to new users, so you’ll be getting for just $7.95 per month. On purchasing the yearly web hosting subscription you will not have to pay setup fee worth $24.95. Web hosting OS will definitely be Linux based and they offer quite great support via tickets, email, phone and live chat. Signup for SiteGround’s GrowBig shared hosting plan for your WordPress Blog using the following link. You can manage your web hosting with cPanel & FTP at SiteGround. Traditional Apache Web Server will be there. One Click WordPress installer will also be there to help you out. Related: How To Remove Unwanted P Tags from Wordpress Posts & Widgets? Few of officially recommended WordPress hosting companies, also include DreamHost. 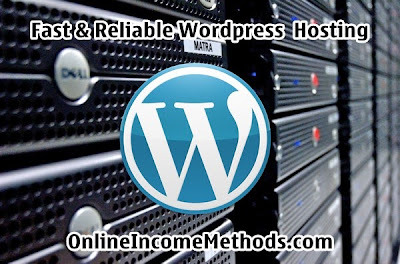 Their shared web hosting package for WordPress, starts with $8.95 per month. That offers unlimited terabytes of storage, unlimited domains, unlimited mysql databases & unlimited bandwidth, with some terms and conditions applied. The best thing about DreamHost is their 100% uptime and 97 days money back guarantee, if you are not satisfied with their web hosting, you can simply ask for a refund within 97 days of your purchase. They do have a customized control panel and OneClick installer for quick and easy WordPress installation. Read full Review of DreamHost. Other than shared hosting, DreamHost has also introduced DreamPress, a dedicated WordPress hosting for heavy traffic WordPress blogs which is similar to having a managed virtual private server (VPS) hosting for WordPress. DreamPress is highly optimized for WordPress where you have freedom to use any wordpress premium theme or plugin, and unmetered server resources which other hosting providers may not support due to CPU resource limitation on shared hosting. DreamPress costs $19.95 per month as an introductory price while its standard price will be $24.95 per month. Only limitation of DreamPress is that you can only host single heavy traffic website on a single DreamPress package, that means, if you have several heavy traffic wordpress blogs, then you need to buy DreamPress hosting package for every domain separately. Use OIM10REGFREE coupon code during signup to save $10 and get a Free Domain Name. We have limited time offer that will help you save $50 from the following link with DreamHost shared hosting purchase and that’s not the only thing, you will be getting two FREE domain name registrations for life. BlueHost is another reliable WordPress shared hosting company that offers unlimited storage space, unlimited bandwidth and unlimited domains, with certain terms and conditions being applied. BlueHost’s Pro plan costs $24.99 per month and offers much better server resources for handling WordPress Blog. Although BlueHost’s standard shared hosting package costs $9.99 per month. You can buy minimum of 1 year subscription from BlueHost. BlueHost has been an officially recommended host for WordPress self hosted blogs. You can signup for BlueHost and purchase their WordPress hosting services having following features. Read full Review of BlueHost. 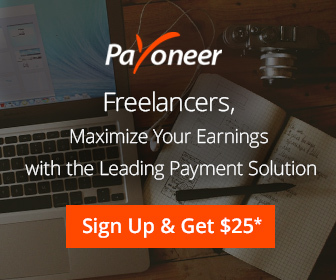 ← How to get verified Paypal US Account with no limits in non-supported countries?